Renata Gambino, Dr. phil., is professor for German Studies of the Department of Humanities at the University Catania. 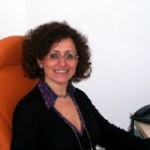 She has also taught at the Palermo University and at the Cosenza University. 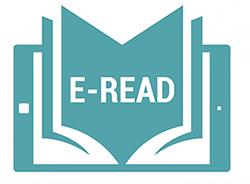 Focus of research: German literature of the ‘Goethezeit’, Neurocognitive Hermeneutics, gender studies, visual studies, cultural studies, intermediality, literary antropology, german travelers in Italy. She has given lectures and seminars on her main research fields at Italian as well as foreign universities. Is coordinator of a section of the Jean Monnet Module of the Catania University titled New Skills for new Challenges (2009-2013). 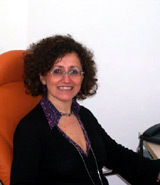 She is staff member of the Internationalization Cometee of the Humanistic Faculty of Catania. Erasmus Partner with the Bochum University (Germany) and the Warschaw University (Poland). Main research topics: German literature of the ‘Goethezeit’ and of the Romanticism (Karl Philip Moritz, Friedrich de la Motte Fouquè), German travellers (Philipp Joseph von Rehfues, Kurt Schwitters), gender questions in the romantic literature (Elise Sommer, Sophie Bernhardi, Charlotte von Ahlefeld, Luise Hensel). invited stays and visiting professorships: Bochum University. Since 2005 co-Editor of the Book Series “Wunderkammer”, Bonanno Editore, Acireale-Roma. Cooperative member of several international associations: GSNA Goethe Society of North America IVG Internationales Verein der Germanisten AIG Associazione Italiana Germanisti NEMLA Northeast Modern Language Association Publications in recent years (a selection): Italienerfahrung und Antikenrezeption bei Karl Philipp Moritz, in Veit Rosemberger (ed. by), Die Ideale der Alten. Antikenrezeption um 1800, Franz Steiner Verlag, Stuttgart, 2008, pp. 29-38; Arcipelaghi culturali: le donne nella letteratura tedesca tra settecento e ottocento, in. «BAIG» I, suppl. giugno 2008; Meraviglie della visione. Una fiaba di Friedrich de la Motte Fouquè, in Valeria Cammarata (ed. by), La finestra del testo. Letteratura e dispositivi della visione tra Settecento e Novecento, Meltemi, Roma, 2008, pp. 165-186; Auf dem Weg zum “Mittelpunkt des Schönen”. Das pädagogische Konzept von Karl Philipp Moritz’ italienischer Reisebeschreibung. In: KRUPP, ANTHONY A CURA DI. Karl Philipp Moritz. Signaturen des Denkens. vol. 77, p. 255-276, AMSTERDAM/NEW YORK, NEW YORK:rodopi 2010; Vedute e Visioni. Teorie estiche e dimensione onirica nelle opere “italiane” di Karl Philipp Moritz, Bruno Mondadori, Milano, 2010.